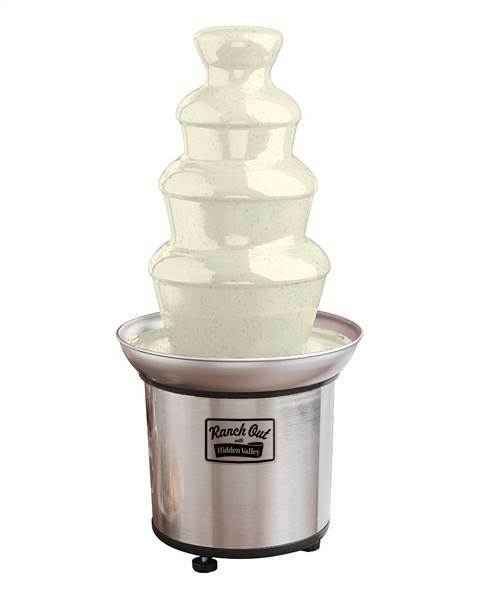 Hidden Valley Ranch Unveils The “Ranch Fountain,” But Would You Actually Use It? While ranch dressing is easily the most popular salad topping in America, not everyone is in love with this special combination of mayonnaise and buttermilk. Some people insist on dipping everything from french fries to pizza in ranch sauce, while others avoid it like the plague. But no matter what you think about ranch sauce, Hidden Valley’s new ranch fountain is a little overwhelming. Standing 18 inches tall this twist on the classic chocolate fountain can hold a ridiculous two pounds of sauce. It also comes with a dozen 36 oz. bottles of sauce, which the company calls a year’s supply. The fountain is part of the company’s new merchandise line with the website Flavour Gallery. 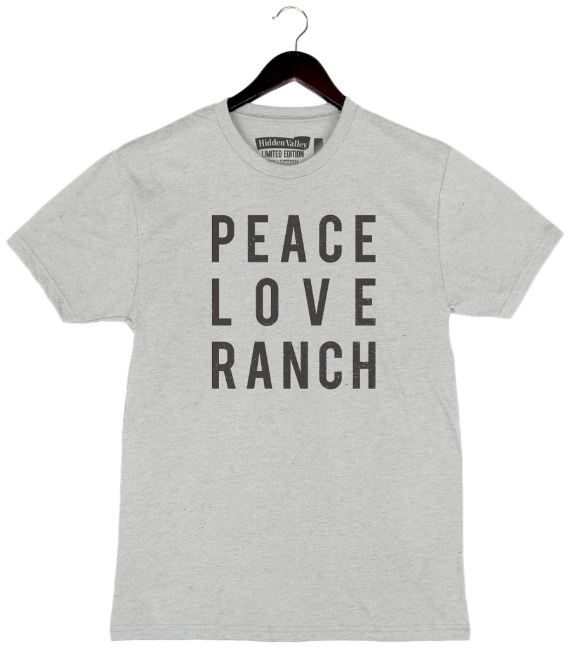 It lets customers show their support for ranch with hats, t-shirts, phone cases, tote bags and even greeting cards. There are also some downright weird items for sale, including accessories for your ranch bottles. 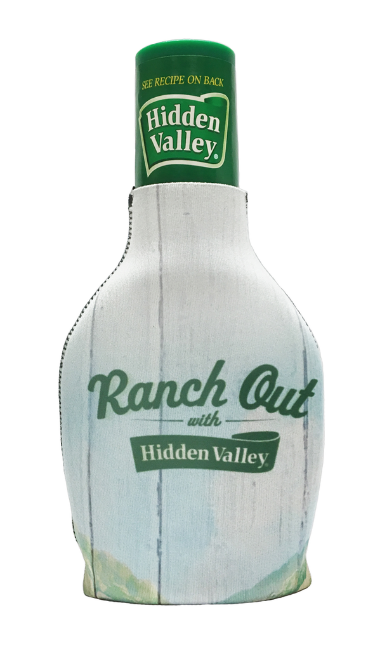 The specially fitted ranch coozie is supposed to keep your dressing “extra chill,” while the limited edition jewel-encrusted bottle (which will cost you $50) has been hand-Bedazzled for extra flair. You may wonder “who would want one of these?” but the company says they’ve had lots of interest in the past to build something like this for birthdays and weddings. If we’re being totally honest the ranch fountain fad probably won’t catch on, so if you’re interested you should buy one now – but be warned it will cost you $100. The good news is the fountain has an optional heating feature, so it could be used for chocolate. You should probably clean it first though. The one flavor ranch just doesn’t pair well with is chocolate. 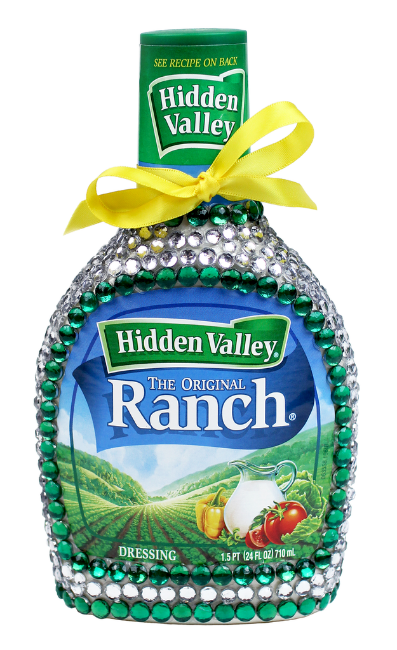 Share this with any ranch lovers in your life!